EXCLUSIVELY ON SEOCLERKS ! BOOST YOUR RANKING ON GOOGLE WITH ALL IN ONE ULTIMATE HIGH QUALITY SEO PACKAGE ! Do not need to pay thousands of dollars to an SEO agency. This service doesn't waste your time, effort and money. This service provides real results. 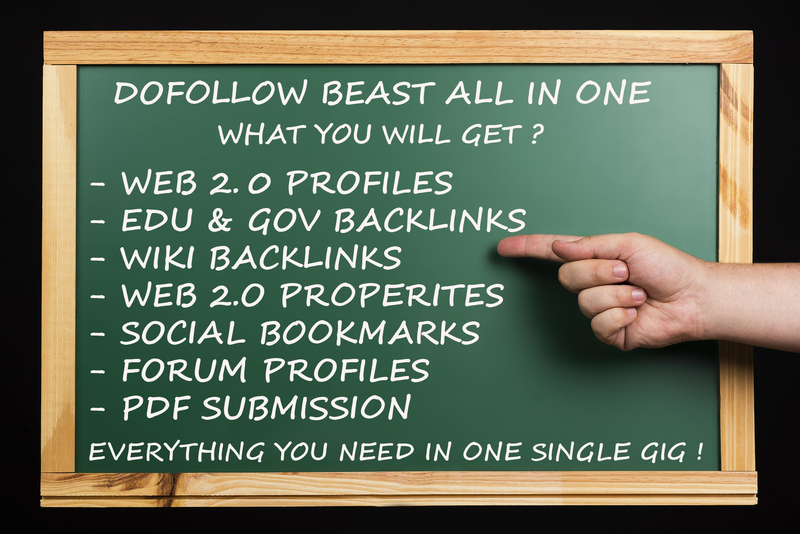 DOFOLLOW BEAST - ALL IN ONE ULTIMATE HIGH QUALITY SEO PACKAGE is ranked 5 out of 5. Based on 1 user reviews.